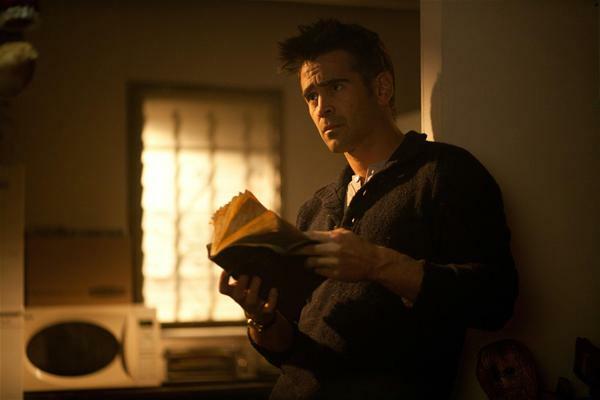 Marty (Colin Farrell) is a Hollywood screenwriter struggling to come up with his next script. His friends Hans (Christopher Walken) and Billy (Sam Rockwell) are small time con men who earn a living by stealing dogs and then claiming the reward on return. They three men are thrown into an underworld of hit men and violence after Hans and Billy steal the Shih Tzu belonging to gangster boss Charlie (Woody Harrelson). Will this be the all to real life experience Marty needs for his next script inspiration? Or will an innocent dog end up meaning the demise of the three friends? Seven Psychopaths is the next feature from In Bruges (2008) director Martin McDonagh. In Bruges also featured a comedic script wrapped around a crime-based storyline and it was a big success for the writer/director. In this follow up to the successful 2008 film, the director follows the same formula yet this time it feels somewhat stale and disappointingly American in tone. Violence is not a hard thing to accomplish in a film. Editing, camera techniques or just good old bloodshed is all that is needed to spice up a film with some ear popping action. What will forever be a challenge for filmmakers is to keep the laughs coming while what is essentially violent brutality being flashed up on the screen. 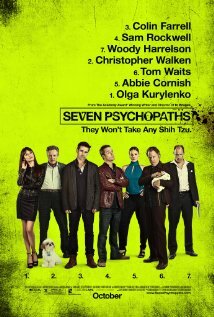 Seven Psychopaths simply does not contain fresh laughs or even enough mediocre comedy to keep you interested throughout. Offbeat characters do not mean instant laughs, despite the talent of the ensemble cast at hand. Harry Dean Stanton, Tom Waits, Michael Pitt and Abbie Cornish are more than capable actors that fill out an already impressive acting roster. Yet no one is given lines to go beyond two dimensional character developments or knock out jokes to really deliver the absurdity of the story in the way intended. Waits and Walken are standout roles in this film. This however is also due to their natural character being so unique and off kilter. Rockwell gives the role of Billy a lot of energy but the character is unlikable and contains a large portion of the dialogue so obviously written to please American’s and not much else. Farrell swings between neurosis and freaked out stupidity for most of the plot until he decides he’s the hero of the piece. Like all good American heroes he then becomes stone cold cool with his best Eastwood impersonation when put under the gun in the films conclusion. 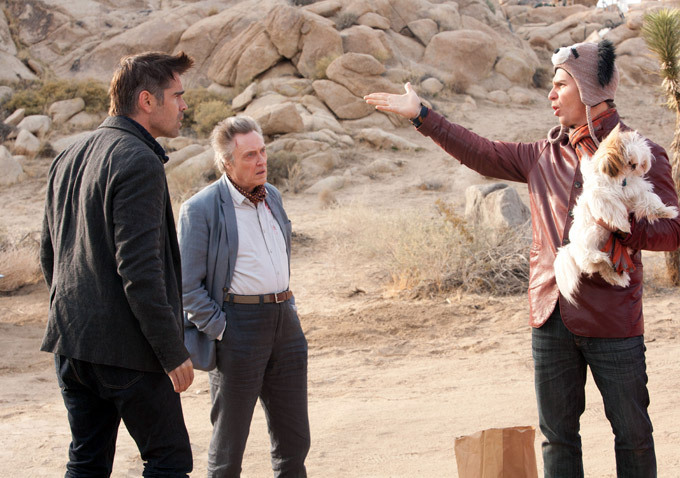 Seven Psychopaths is not a waste of time. It is watchable and at times funny. The film’s problem is that it’s not consistently entertaining. The script dips in storyline focus and comedic value so often you’ll find yourself reaching for the popcorn throughout. The ensemble cast work well together but unfortunately it’s not enough to elevate this average film next to other genre classics like Pulp Fiction (1994) or The Usual Suspects (1995). Those expecting a sharp witted follow up to In Bruges will be disappointed but others should expect a roller coaster ride of violence and ridiculous situations. The problem with this ride though, is you’ve taken it before and this time it’s just not as fun this time around.